1. Ecosystem / habitat protection - the best way to protect species and organisms. 2. Rehabilitate and restore degraded ecosystems and habitats. 3. Rescue plants prior to “bulldozer “ destruction. 4. Rescue and transplant / relocate to another similar habitat on site or to a previously destroyed similar habitat. 6. Establishment of PRUNIT / nursery. 7. PRUNIT – plants used to rehabilitate Mariannhill Landfill Site (MLS) and other Durban Solid Waste ( DSW ) landfill sites. 8. Removal of invasive alien plants – an ongoing project. 9. Seed collection of endemic species for germinating and growing. 10. Soil amelioration programme using garden refuse. 11. Use of chipper for cover material, erosion control and rehabilitation. nursery of wetland plants for the future establishment of “leachate through wetland “ processes of water back into the environment. 13. Re-use of water where possible - so as not to use potable water other than for drinking. 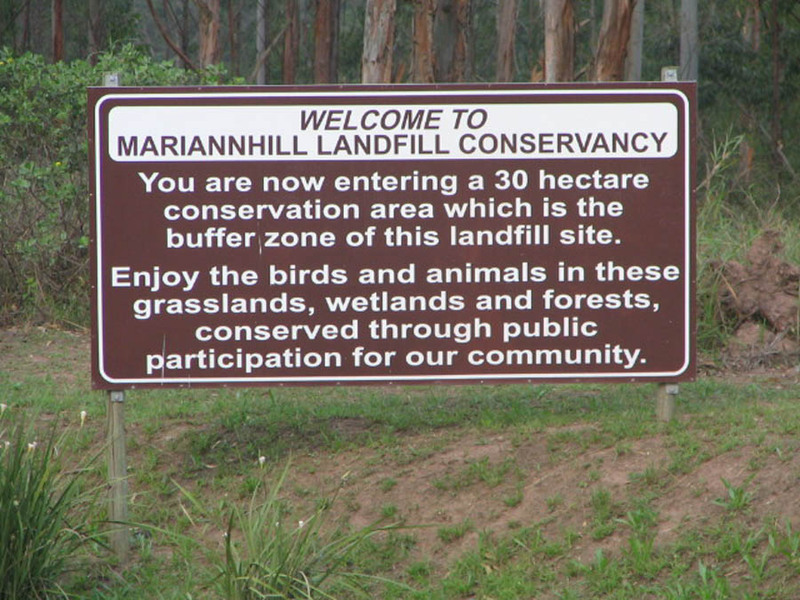 CONSTITUTION OF THE MARIANNHILL LANDFILL CONSERVANCY. 1. NAME, AFFILIATION AND GEOGRAPHIC AREA. 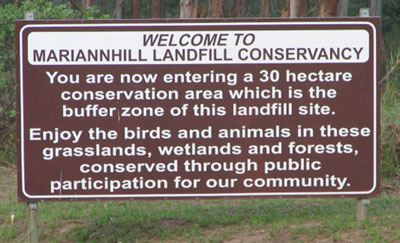 The name of the Conservancy is the Mariannhill Landfill Conservancy (Hereinafter called “the Conservancy“) and shall be registered with Ezemvelo KwaZulu Natal Wildlife. 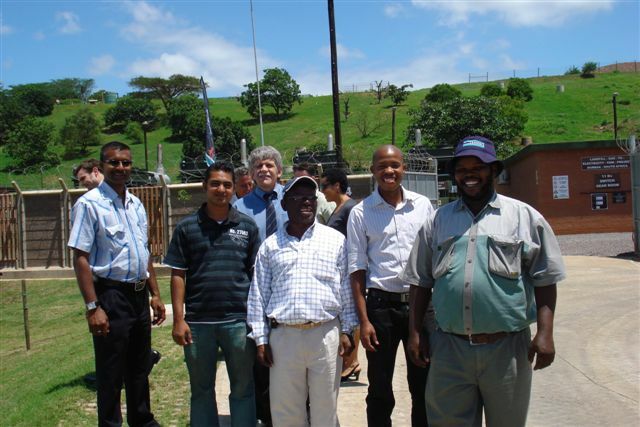 The area covered by the conservancy is the land owned by Durban Solid Waste ( DSW ) in the Mariannhill area of the eThekwini Municipality. (a) The conservation of indigenous fauna and flora of the area. (b) The protection, regulation and improvement of the natural environment. (c) To monitor and minimize all forms of pollution. (d) To remove invasive alien plants from the area. (e) The monitoring of proposed physical developments in the area. (f) To inform, advise and educate all management, staff, visitors, learners and the general public. (g) To rescue and reinstate indigenous flora from the developed areas into other areas of the landfill. (h) To limit any effects of the landfill on the environment for the long term. (i) To promote waste minimization, reuse, and recycling where possible. (j) To prevent soil erosion. (k) To monitor the disposal of waste on the site. (i) Interested members of the public. There will be no charge to members. DSW to meet sundry costs. Monitoring committee meetings – quarterly. Proposed : Lin Gravelet-Blondin - Department Water Affairs and Forestry. 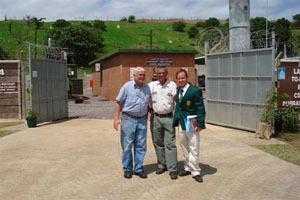 Mariannhill Landfill Conservancy (MLC) reveals a valley of environmental treasures and engineering ingenuity. This Durban Solid Waste’s (DSW) new generation landfill is located according to textbook standards, being well screened from the public eye by the natural topography and established growth of numerous large trees in the peripheral buffer zone. It is a sustainable, eco-friendly engineered “closed-loop” design and includes the treatment and re-use of landfill emissions. This is the first landfill conservancy in Africa and, we believe, the world. A “Closed-loop” design entails putting back into the environment what has been taken out. This ecosystem restoration project has created a large holding nursery for storage of indigenous vegetation and along with the surrounding soil profile rescued from the landfill development area. Operation PRUNIT (Plant rescue unit) as it has been called, has proven to be environmentally and economically successful. PRUNIT has provided indigenous vegetation for the restoration of the buffer zone and rehabilitation of the filled and closed cells. 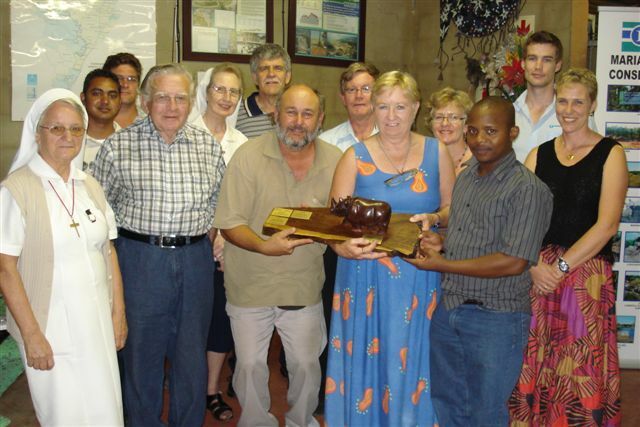 Four years ago (1998) DSW embarked on an exiting conservation and educational project and the conservancy was registered with Ezemvelo KZN Wildlife in September 2002. The vegetation of the area comprises a mosaic of forest and grassland with a rich variety of indigenous plant species. It supports more than 160 bird species as well as duiker, bush pig, genets, mongoose and rodents. The conservancy is managed by Richard Winn, a horticulturalist and rehabilitation specialist, to oversee the rehabilitation process. The rehabilitated cells 1, 2, and 3 together with the 30 hectares conservancy form a green belt. A wetland has been established which is a feat of environmental engineering. A bird hide overlooking the wetland gives visitors the joy of watching the birds and other creatures inhabiting and visiting the sanctuary. The conservancy boma overlooking the landfill’s fifth cell, serves as a meeting place for the monitoring committee and demonstrates environmentally friendly ‘products’ and systems to the increasing number of educational and environmental tour groups visiting the landfill site. In 2004 more than 2000 people visited the landfill, ranging from pre-school groups to specialist landfill engineers and environmentalists. Many items in the boma have been manufactured from recycled products demonstrating more sustainable lifestyle patterns. One can see crocheted cushions made by the local community made from recycled plastic, a ‘polywood’ bench made from plastic, a braai made from a washing machine drum and environmentally friendly toilets. 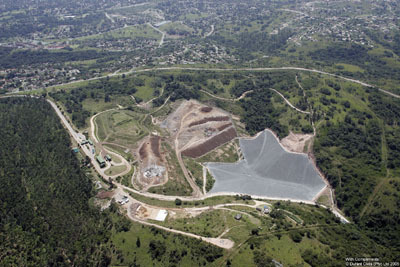 Leachate, a toxic by-product of the decomposition process previously fed into the sewer system, is now channeled into a treatment plant where it is treated to an acceptable standard and is used for dust suppression and irrigation of the vegetation within the conservancy, this conserves potable water, saving the city thousands of rand. In a first for Africa, the eThekwini Municipality has implemented plans to harness gas from the decomposing waste to generate electricity. Not only will the project have significant environmental benefits, it will also swell the city coffers. The city will receive millions from the World Bank in exchange for ‘credits’ accrued through reducing emissions of greenhouse gases. This project will help reduce the amount od Methane gas released into the atmosphere from the landfill.